SAGITA COM - Windows 8 Enterprise adalah versi terbaru dari Microsoft Windows, sistem operasi dari Microsoft, untuk digunakan pada komputer pribadi, termasuk rumah dan bisnis desktop, laptop, tablet, PC media center. Windows 8 memperkenalkan perubahan yang signifikan untuk platform sistem operasi, terutama difokuskan untuk memperbaiki pengalaman pada perangkat mobile dan menyaingi sistem operasi mobile lainnya. This fully manageable corporate Windows 8 desktop on a bootable external USB stick, allows IT organizations to support the "Bring Your Own PC" trend and businesses can give contingent staff access to the corporate environment without compromising security. Allows remote users to seamlessly access resources inside a corporate network without having to launch a separate VPN and helps IT administrators keep remote users' PCs in compliance by applying the latest policies, software updates. When used with Windows Server 2012, Windows 8 makes DirectAccess easier to deploy and implement with the existing IPv4 infrastructure. Allows users' PCs to cache files, websites, and other content from central servers, so content is not repeatedly downloaded across the wide area network (WAN). When used with Windows Server 2012, Windows 8 brings several improvements to BranchCache to streamline the deployment process, optimize bandwidth over WAN connections and ensure better security and scalability. Can help mitigate issues by restricting the files and apps that users or groups are allowed to run. Enhancements in Microsoft RemoteFX and Windows Server 2012, provide users with a rich desktop experience with the ability to play 3D graphics, use USB peripherals and use touch-enabled devices across any type of network (LAN or WAN) for VDI scenarios. 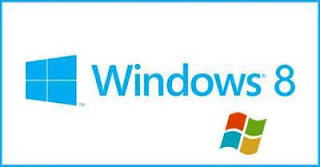 Domain joined PCs and tablets running Windows 8 Enterprise are automatically enabled to side-load internal, Windows 8 apps. 16 GB free hard disk space.